I’ll be honest I wasn’t going to choose this book, after all I follow a number of different crime fiction series and I wasn’t sure that I needed to add another to the list until I saw a number of reviews for this one and decided to see for myself, and boy, am I glad I did. Why? Well DI Kim Stone is a fantastic protagonist, driven seemingly a hard-taskmaster, yet we are shown early on that her team are determined to go the extra mile for her which indicates there is far more to her character. Secondly the mystery element is fantastically complex giving this reader plenty of information to pit her admittedly poor detective skills against. Set in the Black Country the author gives a good sense of the place with references to the industrial revolution that shaped this area, the book opens with a group of five gather round a shallow grave to bury a secret in 2004. 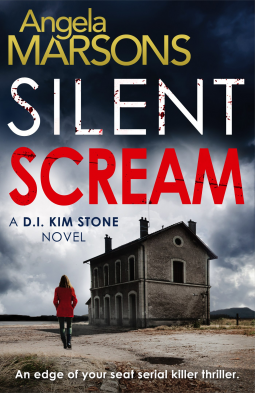 In the present day Kim Stone is called in to investigate the murder of a retired headmistress, Teresa Wyatt, and her team are soon given direction by their boss. Teresa Wyatt’s was a gruesome murder and seemingly it is a mystery as to why this respectable woman has invited such horror. Led by Kim the team follow a lead to the grounds of a former children’s home which only causes the mystery to deepen. This is a book that wears its heart on its sleeve, unusual in crime fiction where the focus was as much on the why, as the who. Every element of this book is complex, not least DI Kim Stone but not in the now ubiquitous screwed-up cop but played with far more subtlety. This book isn’t about the main protagonist, or her team, yet it gives us enough feeling of the characters, mainly by showing us in their actions, to make them easily identifiable and leave the reader wanting to know more, absolutely essential for a series to be a success. I want to know more! With tough issues at the heart of this book Angela Marsons has made a brave move, not every reader wants to go to sleep thinking about the murder of children and yet even the younger potential victims are given rounded characters, not for this author is the stereotypical angelic child who was preyed upon, nor the troubled youngster that invited trouble in return, rather we get distinct and believable characters, both major and minor. I was gripped by this novel and the fast pace only served to keep me turning the pages frantically, desperate to know the truth which was kept hidden from right up until the moment of the reveal. I for one will be looking out with eagerness for the next in this series and have concluded that of course there is room in my life for one more crime fiction series, especially one as good as this. I’d like to say a huge thank you to Bookouture for allowing me to have the opportunity to read this book in return for my honest opinion. This book is great, you can read it now as it was published on 20 February 2015. Great review – I will be looking for this book. Sounds like one I’d love. Have you read The Farm by Tom Rob Smith? Thank you – I think you will enjoy it. I haven’t read The Farm although I do have it on audio book. I must try to listen but I’m not great at concentrating. I’ve just started it, and I’m so impressed by how well drawn the characters are already! Fantastic. Incidentally, I read The Farm – I preferred Child 44; for me The Farm didn’t quite work – I thought the journey was better than the destination; I thought the ending was trying to please everyone. But I know a lot of people loved it, so maybe just me. Quite a change of direction for him, I thought. I think it is the depth of the characters that made this such a big hit with me. I hope you enjoy the rest of the book as much. Another one that I must explore! Thanks for sharing. You must, this is so good I can hardly believe it’s the author’s debut novel! Oh I’m so glad you enjoyed this review and I do hope you enjoy the book! Anyone – unless something goes drastically wrong throughout the rest of the book, expect a great review from me too! It’s doing so well; I’m delighted for you! Thanks, Cleo, for sharing this. I’m very glad you enjoyed it as much as you did. Those past/present connections can really add to a story, and the setting sounds like a very good fit for the novel. This was so good on all levels and while I was reflecting on quite why I enjoyed it so much it was because of the depth of the characters, not one stereotype! I really tried to resist this one but… the best laid plans and all that! That’s great you gave it a shot and really liked it. This does sound really awesome.